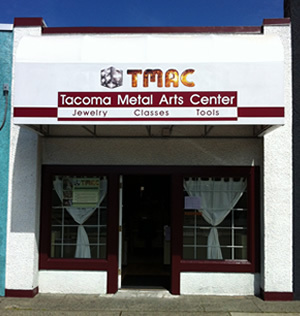 Tacoma Metal Arts Center is a school for jewelry making and metalsmithing. We offer classes, private lessons and studio access. Whether you are just beginning or have experience, you can design and create unique jewelry and decorative objects. 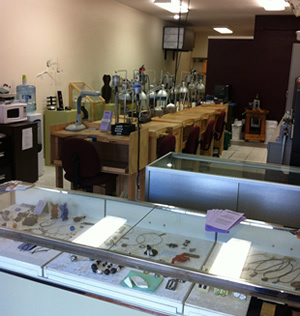 Our retail gallery has hand-made jewelry created by the instructors and students. Whether your shopping for a gift or in need of a little inspiration, come visit us and have a look around. We also sell metalsmithing tools and supplies such as: hammers, torches, flex-shaft machines, ring mandrels, pliers, jewelers saws, fire brick, files, burs, bezel wire, solder, flux, and more. Closed: Friday May 3 and June 14 for the Beginning Intensive Class. we have gift certificates available in any amount. Buy online, give us a call or stop by the shop today! Sold in $25 increments online, adjust quantity in shopping cart to customize your Gift Certificate amount. For other amounts just give us a call! Have a gift certificate to redeem? Just email or call with the class you'd like to take and gift certificate code. Or stop in the retail shop!